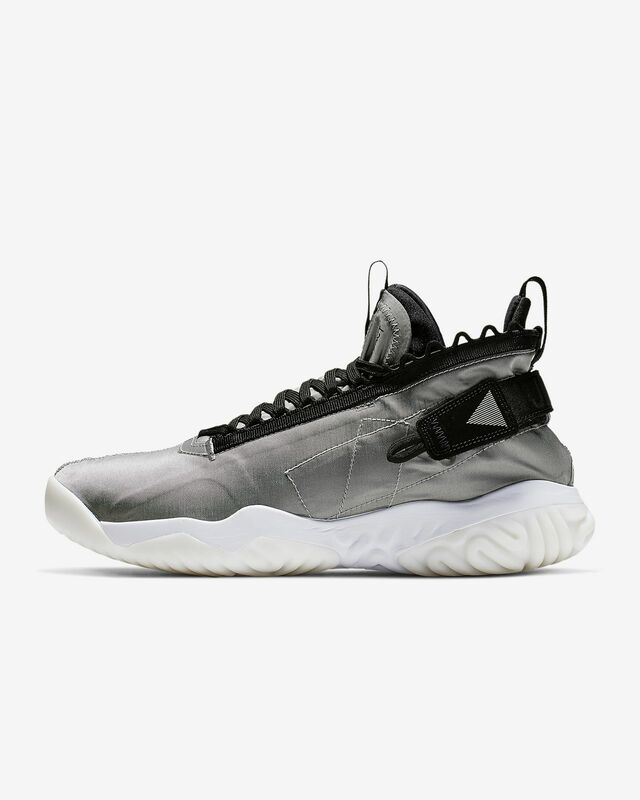 Inspired by the design of a space suit, the Jordan Proto-React takes comfort out of this world. 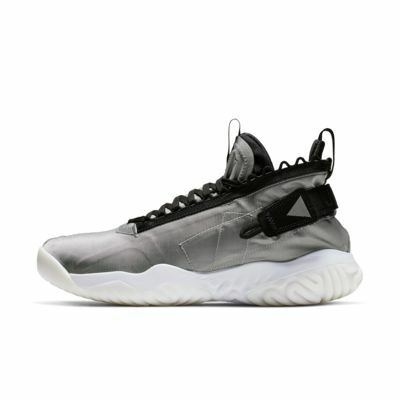 Nike React technology gives you more bounce with less weight, and an aeronautics-inspired shroud with a snug bootie helps keep you strapped in for takeoff. Lightweight shroud has a comfortable feel. Heel strap with hook-and-loop closure secures your fit. Inner bootie hugs your foot for snug comfort. Exaggerated herringbone pattern enhances traction.